Prentice Hall. Hardcover. 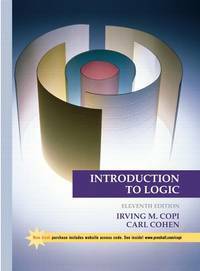 0136141390 New US Edition Textbook, Ships with Emailed Tracking from USA . New. Prentice Hall, 2008-01-07. 13. Hardcover. Used:Good. Prentice Hall College Div, 2005-06-01. 12. Hardcover. Used:Good. Prentice Hall College Div, 1998-08-01. 10th. Hardcover. Used:Good. Prentice Hall College Div, 1997-07-28. 10. Hardcover. Used:Good. Macmillan USA, 1990-01-10. 8th. Hardcover. Used:Good. Macmillan USA, 1994-01-01. 9th. Paperback. Used:Good. Prentice Hall, 2001-06-20. 11th. Hardcover. Used:Good. Prentice Hall. Hardcover. 0136141390 US Edition Textbook, May Have Highlights, Notes and/or Underlining, BOOK ONLY-NO ACCESS CODE, NO CD, Ships with Emailed Tracking from USA . Good. Prentice Hall, 2008-01-07. Hardcover. Good. Dark Alley, 2001-01-01. 11. Hardcover. Used:Good. Pearson College Div. Hardcover. 0130749214 New Condition. . New. Prentice Hall College Div. Hardcover. 0132425874 New Condition. . New. Routledge. Hardcover. 0130337358 New Condition. . New. Prentice Hall. Hardcover. 0136141390 New Condition. . New. Prentice Hall. Hardcover. 0136141390 Like New Condition. . Fine. Routledge. Hardcover. 0130337358 Like New. Clean, Tight and Neat. Five star seller - Buy with confidence! . Fine. Prentice Hall College Div. Hardcover. 0132425874 Like New Condition. . Fine. Routledge. Hardcover. 0130337358 Like New Condition. . Fine. Pearson College Div. Hardcover. 0130749214 Like New Condition. . Fine. Prentice Hall PTR, 2005. Hardcover. Good. Disclaimer:A copy that has been read, but remains in clean condition. All pages are intact, and the cover is intact. The spine may show signs of wear. Pages can include limited notes and highlighting, and the copy can include previous owner inscriptions. At ThriftBooks, our motto is: Read More, Spend Less.Dust jacket quality is not guaranteed. Prentice Hall College Div, 1998-08. Hardcover. Good. Pearson Education, Inc, 2005-07-26. Hardcover. Good. Prentice Hall College Div, 1997-07-28. Hardcover. Good. Prentice Hall, 2001-06-20. Hardcover. Good. Macmillan, 1990. 0023250356. 8th edn. 8vo. Original silver gilt lettered silver and red boards (Fine), no dustwrapper. Pp. xiv + 569, illus with b&w figures (no inscriptions). Prentice Hall. Hardcover. 0136141390 Item in acceptable condition! Textbooks may not include supplemental items i.e. CDs, access codes etc... . Fair. Macmillan USA, 1994-03-08. Paperback. Good. Macmillan USA. PAPERBACK. 0023812524 Very nice used book. There is minimal underlining in chapter 3. Minor wear to cover corners. . Very Good. Prentice Hall College Div. Hardcover. 0132425874 . Good. 1997. New York, New York, U.S.A.": Routledge. Hardcover. 0023250410 No Jacket; Octavo. Laminated boards. . Very Good. 1994. Macmillan USA. Used - Very Good. Great condition for a used book! Minimal wear. Dark Alley, 2001-01. Hardcover. Good. Pearson College Div. Hardcover. 0130749214 Ships promptly from Texas. . New. 2001. Prentice Hall. Hardcover. 0136141390 Item in acceptable condition including possible liquid damage. As well, answers may be filled in. Lastly, may be missing components, e.g. missing DVDs, CDs, Access Code, etc. . Fair. Prentice Hall. Hardcover. 0136141390 Ships promptly from Texas. . Good. 2008. Routledge. Hardcover. 0130337358 Very Good Inside & Out! Pencil markings throughout book. Some pages slightly warped but in great condition. You will be pleased. Excellent book! ( z1s75A ) There is some shelf wear on cover. ** Fast Shipping! ** . Very Good.